THERE IS LITTLE I can tell you about my father's murdered family. I know that my father's father, David Jakubovic, was a pious Jew who had a small farm in a tiny village in eastern Czechoslovakia. I know that his mother, Leah, came from a larger town called Snina. I know that his brother Zoltan was permanently injured as a child when an animal kicked him in the head. Of his older sister Franceska and his two youngest siblings, Yrvin and Alice, I know only their names. I do know where the family was killed: at the Nazi death camp at Auschwitz. And I know how: in a crowded gas chamber, by asphyxiation from hydrogen cyanide. And I know when: May 28, 1944. And I know, of course, why. But who killed them -- that I don't know. The killers were so many. There were the Nazi officers supervising the murder operations at Auschwitz that spring morning in 1944. There was the SS doctor who "selected" the arriving Jews -- deciding who would be gassed at once and who would be worked until they died of starvation and disease. There were the guards who crammed the victims into the gas chambers and screwed the airtight doors shut behind them. There were the "disinfectors" who poured the Zyklon-B crystals into the ventilation shafts. There was the camp commander, SS-Obersturmbannfuhrer Rudolf Hoss. There was Adolf Hitler. But the blood of my father's parents, brothers, and sisters was shed by far more people than that. David and Leah, Franceska and Alice, Zoltan and Yrvin were wiped out as part of a genocidal enterprise whose dimensions still numb the mind. 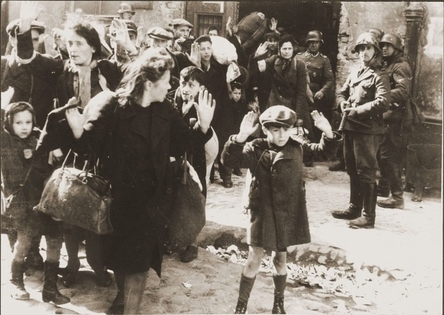 It was the goal of the Germans to exterminate every Jew in Europe -- to do so systematically, zealously, comprehensively. Never before or since has the annihilation of an entire people been so central to the ideology of a great power, or so ruthlessly and efficiently pursued. It was a huge undertaking. 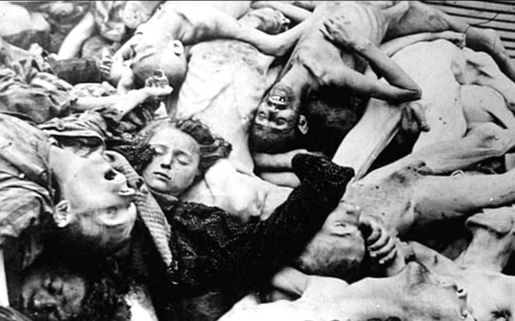 From every corner of the continent, from the stylish cafes of Paris to the backward villages of Ukraine, Jews were herded to their deaths. They were killed by shooting and by gassing, by hanging and by drowning, by beating and by starving, by burning and by electrocuting and by torture. Between 1938 and 1945, the Nazis and their collaborators murdered two-thirds of Europe's Jews. My father's father and mother and brothers and sisters made up 1 one-millionth of the total. Fifty years on, the Holocaust is sometimes seen in caricature: as the evil work of Hitler, Goebbels, and the Gestapo, with death camp guards and a goose-stepping chorus of Storm Troops in the background. But these were only the most notorious villains. They could have done little without the tens of thousands of men and women -- murderers and accessories to murder -- who staffed the Third Reich's immense bureaucracy of persecution, isolation, and destruction. Who killed David and Leah, Franceska and Alice, Zoltan and Yrvin? The train engineers who transported them to Auschwitz. The railway managers who provided the rolling stock. The local police who helped the Germans round up Jews for deportation. The collectors and civil servants who forced the Jews to surrender their valuables and property. Accessories, all of them. My father's loved ones were murdered by the men who released the Zyklon-B into the gas chamber, but also by the men who ordered the Zyklon-B. And by the firm that supplied it. And by the lawyers who drew up the contract. And by the accountants who paid the bill. For lawyers and accountants, too, played a role in liquidating 6 million Jews. The Holocaust was a complicated and expensive project. It required lawyers and accountants no less than it required crematorium operators. Auschwitz and Buchenwald and Treblinka didn't spring into existence at the snap of Hitler's finger. Architects had to draft the blueprints. Builders had to follow them. Engineers had to install the equipment. Property agents had to acquire the land. Not all of the perpetrators were sadistic SS men. Many -- very many -- were ordinary people doing "ordinary" jobs: Scheduling trains. Cutting payroll checks. Sewing uniforms. Delivering mail. Part of the Final Solution was machine-gunning children into the ravine at Babi Yar. Part of it was ordering more bullets when supplies ran low. When the Jakubovices stepped out of that stinking cattle car to be hustled off to die, who pushed them up the ramp? Wasn't it the legislators who had written laws stripping Jews of every legal protection? Wasn't it the schoolteachers who taught German children that Jews were pestilential vermin, the enemies of the Fatherland? Wasn't it the "journalists" who wrote for Der Sturmer, the grotesquely anti-Semitic newspaper whose single theme was vileness of Jews? Wasn't it the German church leaders, who not only refused to speak out in defense of the victims but actively helped the Nazis by supplying "Certificates of Aryan Descent" to their members? "The destruction of the Jews was not centralized," writes Raul Hilberg, the eminent Holocaust scholar. "The anti-Jewish work was carried out in the civil service, the military, business, and the Nazi party. All components of German organized life were drawn into this undertaking. Every agency was a contributor; every specialization was utilized; and every stratum of society was represented in the envelopment of the victims." Who killed David and Leah, Franceska and Alice, Zoltan and Yrvin? It would be easier to say who didn't.